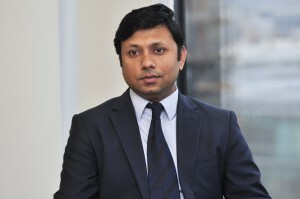 Wasequl H Reagan MBA, MSc, FCA | Mahfel Huq & Co.
Wasequl is a Partner at Mahfel Huq & Co. He trained with Deloitte (London) (one of the big four firms in the world) and qualified as an ACA (ICAEW) in 2012 (in shortest possible time period). While at IBA, Dhaka University he received a stand alone full scholarship awarded by Manchester Business School (MBS) competing with students from across the globe for his MSc. studies. Wasequl’s experience spans a wide spectrum of audit and assurance and consulting works for a number of global banking and capital market powerhouses including BNP Paribas, Morgan Stanley, Bank of Tokyo Mitsubishi, Royal Bank of Scotland (including National Westminister Bank) and Santander. Following completion of his training contract, he worked with the consulting arm of a big 4 accountancy firm to work on some high profile consulting works involving various international and supranational institutions. After Deloitte, Wasequl worked as a Vice President in a renowned global investment bank in London before joining our firm. In addition to being a practitioner, he is currently acting as a visiting lecturer at University of Dhaka. Before going abroad, he was involved with a number of charitable institutions and won ‘Leo of the Year’ award to represent Bangladeshi in the International Lions Conference held in Japan in 2002. He has a number of publications to his name in the professional accounting journal of Institute of Chartered Accountants of Bangladesh (ICAB) and presently provides lectures on technical matters as a resource person at ICAB. His areas of expertise include management and risk consulting, tax, audit and assurance and corporate finance.